In many situations, solar power systems are an effective means to trickle charge a battery bank. 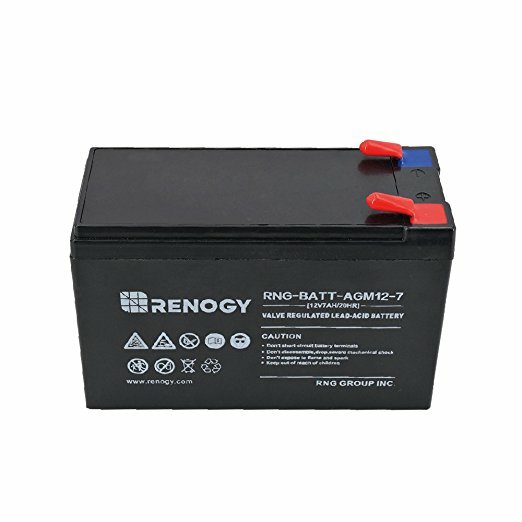 Renogy 12V deep cycle AGM batteries are designed for a wide range of applications, particularly those that utilize low wattage devices that need to operate for long periods of time. Leak-proof, spill-proof, and ultimately maintenance free, the Renogy AGM line is ideal when searching for a battery meeting high quality and long lasting performance standards. If a power system requires the connection of several batteries in series/parallel to build a battery bank, please consider purchasing Renogy Battery Interconnect Cables, available in different lengths.